Hello to all of you. I’m Marianne, and I’m the oldest of Millie’s four children — and the only girl. 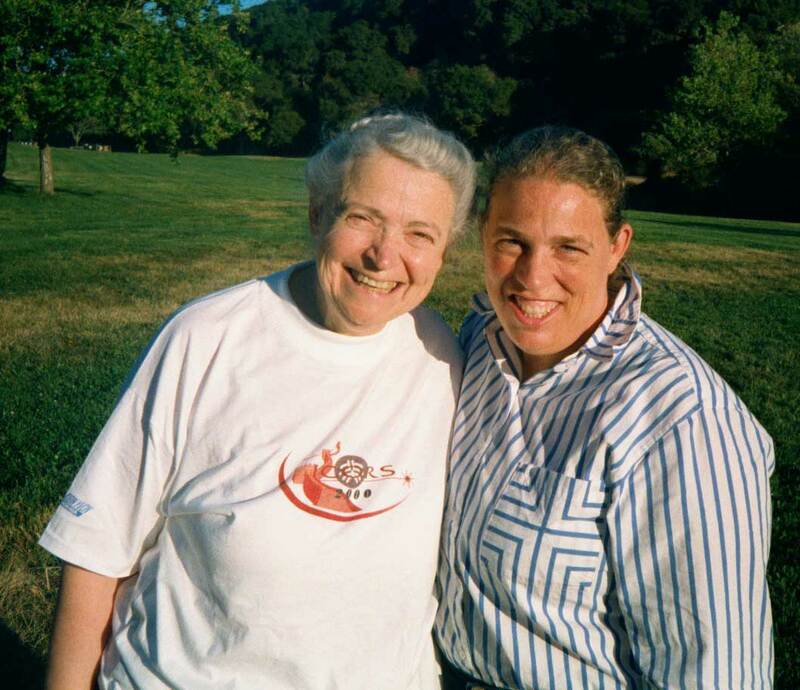 I’d like to share some memories of my mother and some of my reflections on what it meant to me, growing up, to have the biggest family of all — because it included all my parents’ friends, collaborators, and students. I was the oldest, so I was born while Millie and Gene were still at Cornell. 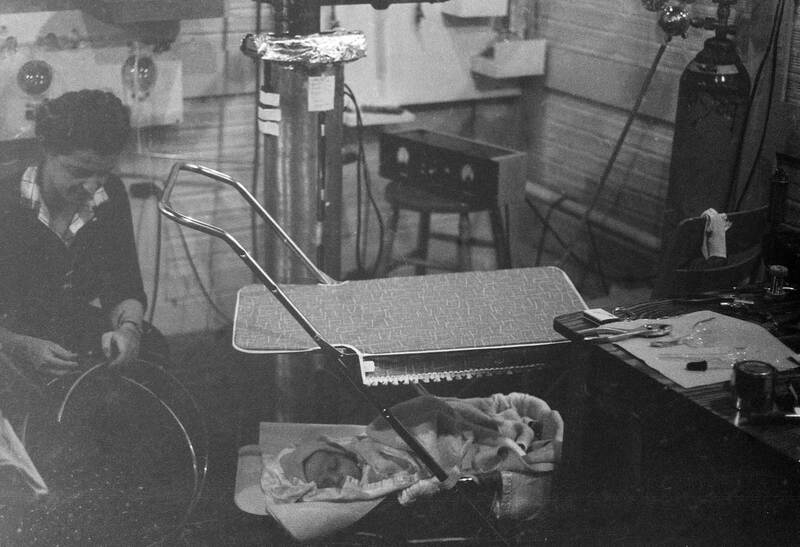 I don’t remember Cornell, myself, but my mom always told me about how she took me into the lab with her — when I was only weeks old — and would do her work with me by her side. When she went off to a lecture, the secretaries looked after me. By all accounts, they loved it. 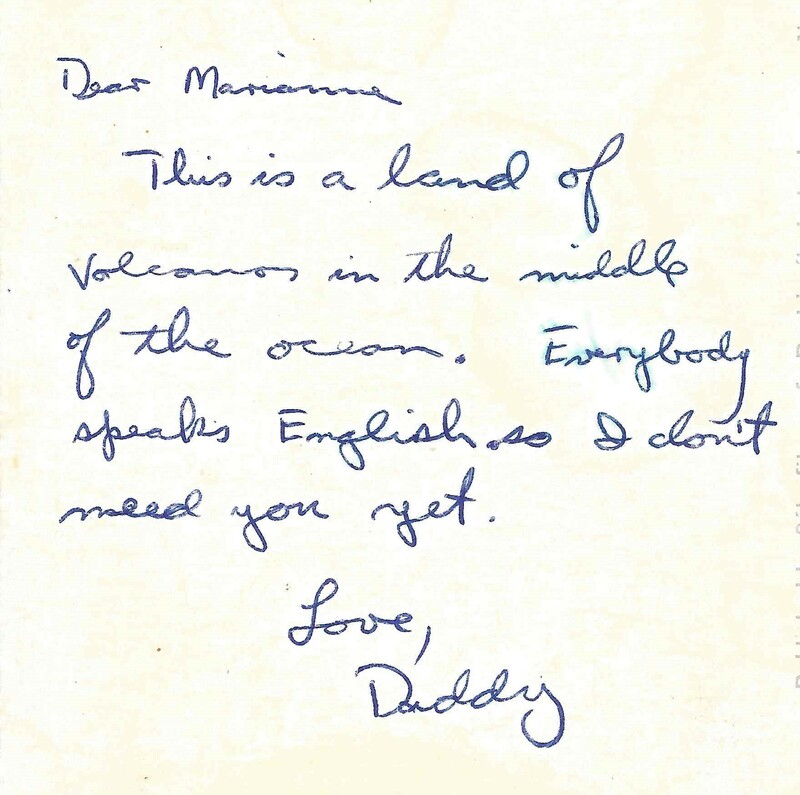 One of my earliest memories was swimming at Walden Pond with my parents. My parents continued to walk around Walden Pond their whole lives. They took both of my two daughters on walks there, when my daughters went to Boston for college or graduate school. I also remember when Paul was born… a little. I remember Eliot much better. Gene took us kids to the hospital, and we stood on a little hill outside and called to our mom to: “Come home soon, Mommy!” Actually, when Millie was pregnant with Eliot, I marched up to her and told her that I had too many brothers, so she needed to make sure the next baby was a girl! Of course, Eliot wound up being a boy… but I soon got over my disappointment and welcomed him into my family with open arms. 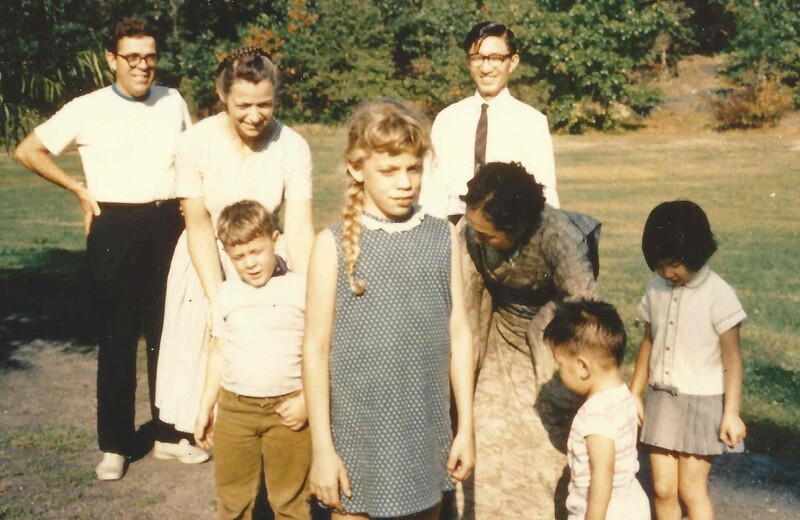 My family was huge — because every one of my parents’ students was part of it. That has been true for as long as I can remember. I remember “Uncle Dennis”, “Uncle Stevie”, “Aunt Aviva”, and so many others. Once, when I was in elementary school, I was asked to do a family tree. I went home and agonized over it for hours, trying to figure out where “Uncle Bob” or “Uncle Marty” fit in. The students were just as much a part of my life as MIT, growing up. I spent so much time at MIT, I thought of it as a second home. My parents often brought my brothers and me into the lab, where we’d talk to the students and play with some of the less fragile lab equipment. I remember being overawed by the huge magnets in the magnet lab, when I was very little, and as I grew older, I remember playing with the adding machines in the MIT labs with my brothers. We also ran errands for the students — fetching things they needed. I remember enjoying running around helping them! At home, we grew up surrounded by science. You heard various people in the Memorial recall Millie’s four kids baking or cooking, when the students came over for house parties. 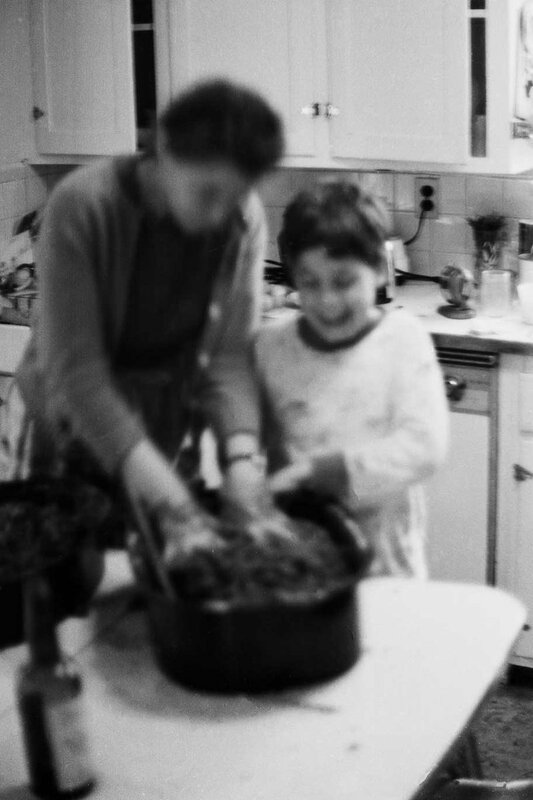 We used to do these elaborate cooking projects, all the time — which my parents loved, because it gave them the opportunity to teach us chemistry. But they did this with everything! Gene set up a dark room in the basement, and taught us all about optics and photography and the chemistry behind developing the film. We would grow crystals over the furnace, downstairs — out of salt, sugar, or anything else we could find. My parents got us a chemistry set, at some point, and we absolutely loved that. There was always at least one experiment happening in our household at any given time after we got that chemistry set. 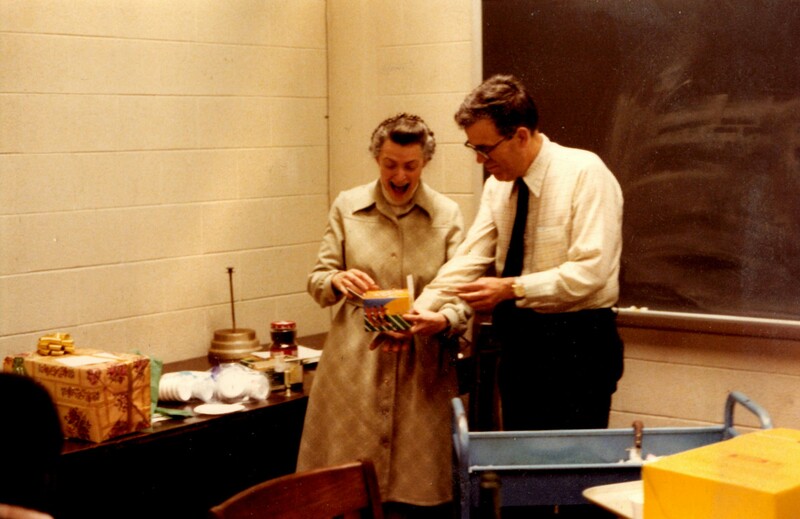 Millie and Gene loved our experiments, and they’d bring us back extra things from their lab that they thought were interesting, so we could add them to our chemistry set. The whole time, I honestly never thought this was strange or different from other children. That was just what I thought of as normal. Millie, in a postcard, reminds the family that I'm the one in charge. As the oldest child, Millie often designated me as “the one in charge” when she was busy or working in her room or away. I was given specific instructions, and then it was my duty to answer the phone, answer the door, and look after my brothers to make sure they practiced their music and did their homework and didn’t bother my mom while she was working. I remember — it was very important that no one should bother my mom while she was working. It went on like this for a few minutes, the White House constantly insisting to me that they really were the White House and really did want to speak to Millie, while I stubbornly refused to let my mother be bothered. When my mother came downstairs, she asked if anything important had happened while she was busy. On Monday morning, the White House did call her office and managed to speak with her. The first thing they said, when they got through, was how much they had enjoyed talking to her daughter on the phone! Because when people from the White House call Professors, they’re always put through immediately. 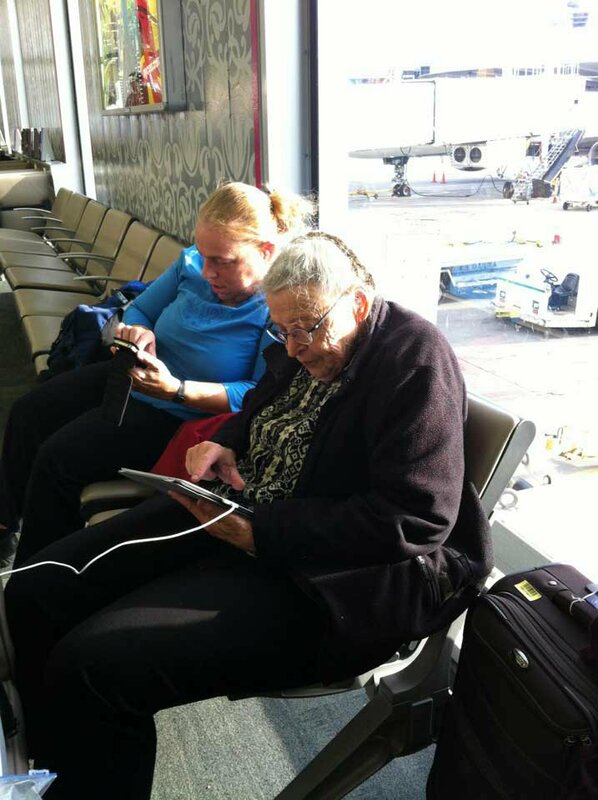 They’d never had a child tell them, “No, I’m sorry, but my mother is very busy right now. She can't be interrupted!” It tickled them pink. When my parents got home and told me this, I frowned and asked them if I’d done the right thing. As us kids grew older, we continued to have close connections to MIT. We went to MIT day camp as we grew up. When I was in high school, I participated in an MIT high school program, allowing me to take extra classes at MIT. However, I am very envious of my younger brothers, because by the time they were in high school, Millie had come up with a new extra-curricular activity for them: helping her and the graduate students at the MGM lab! This was better than what I did. Maybe my experiences can help others, though. Maybe other professors with growing children will read this and consider having their children help in the lab as teenagers. After all, my brothers got a lot out of it, and it was an incredible experience for them. After high school, I wound up at MIT for college, but in Nuclear Engineering. It was at MIT that I met my husband. We chose the date of our wedding based on Millie’s schedule, since she was so busy traveling all the time! 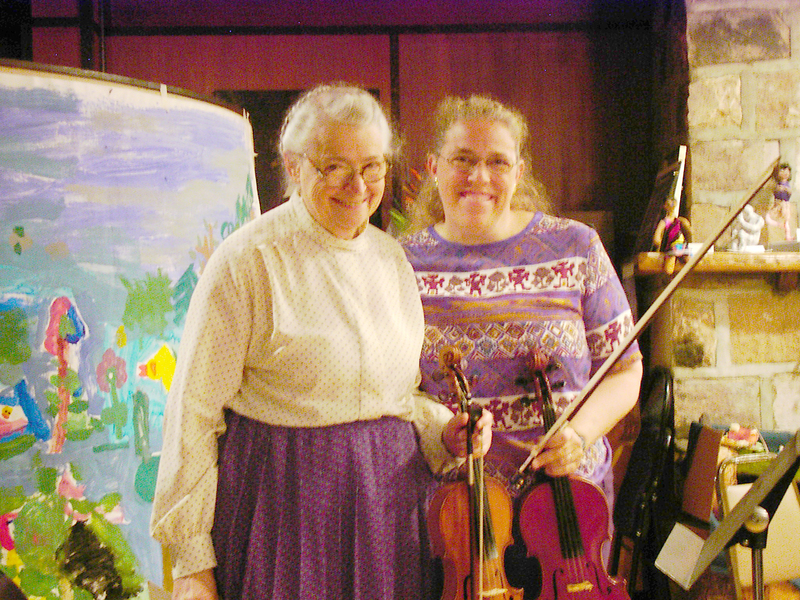 Millie’s students and friends and collaborators continued to be a part of my life — and, when I had children, of their lives as well. I knew that this was my extended family — and I still feel that way today, just as strongly as when I was young. But of course, having such a big and amazing family is even more important to me than you might imagine. A few years ago, my oldest daughter did some research on Millie’s family tree — a daunting task, since much of the history of Millie’s family was destroyed during the Holocaust. While doing the research, it really struck me just how huge Millie’s family tree had been when she was first born, in 1930. They’d had an incredibly big family, full of musicians and scholars and diamond merchants and so many different people who did so many different things! By the time Millie graduated high school, almost all those people had been killed in the Holocaust, and her family had suddenly become very small. Millie had lost so much of her family, as a little girl — but she created herself a family just as big, with her mentorship and her leadership and her open heart. 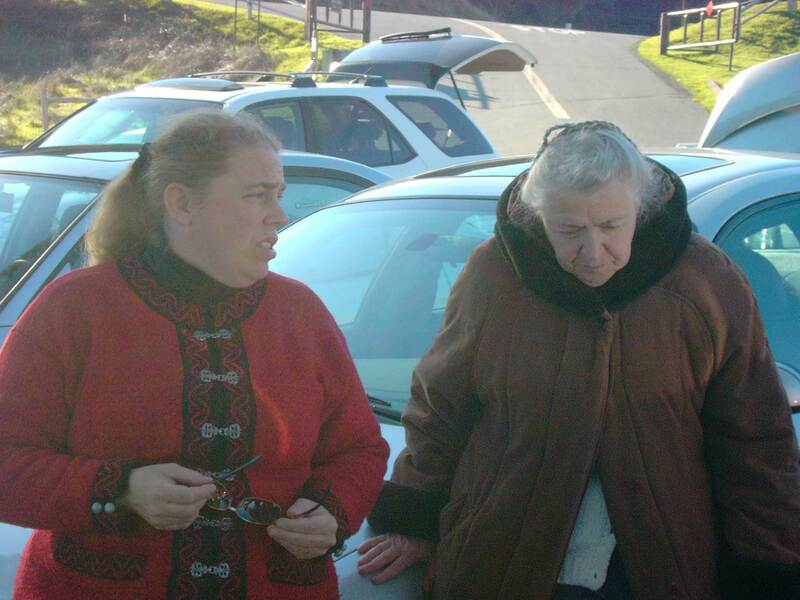 The students and friends and collaborators that I thought of as “aunts” and “uncles” were not just good friends; they healed my family from the deaths of the Holocaust. From the bottom of my heart, I thank them for that. 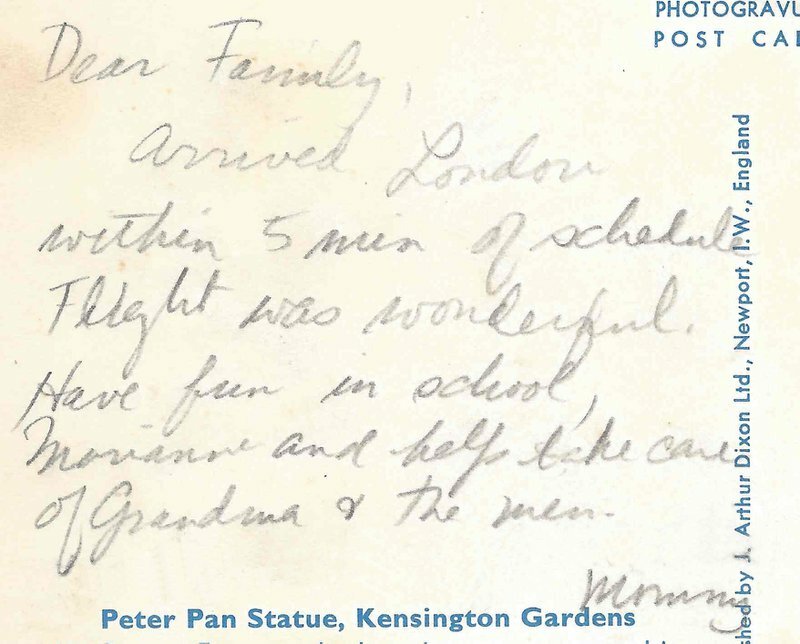 Gene's sense of humor came through even in his letters home. Here's a postcard from Iceland. I can’t finish writing this recollection without telling you how important my father, Gene, was to my mother. As Millie got older, and her fame increased, Gene would sometimes get left out of her story — but I want to bring him back in, because he is such a vital and important person to that story. But fame didn’t matter to Gene. Millie mattered to him. More than anything! After Millie’s postdoc at Cornell finished, when Gene discovered that Cornell would not hire Millie for a position there, he immediately packed up the car and moved down to Lincoln Labs. When she hit hurdles, he encouraged her. When she faced discrimination, he defended her. When she became president of APS, he declared the chair at the head of the table the “President’s Chair”. And when she eventually wound up being more famous and well-known than him, he was delighted — and sat in the front row at all her talks, to cheer her on. Gene has always been Millie’s greatest defender, and her most important collaborator. 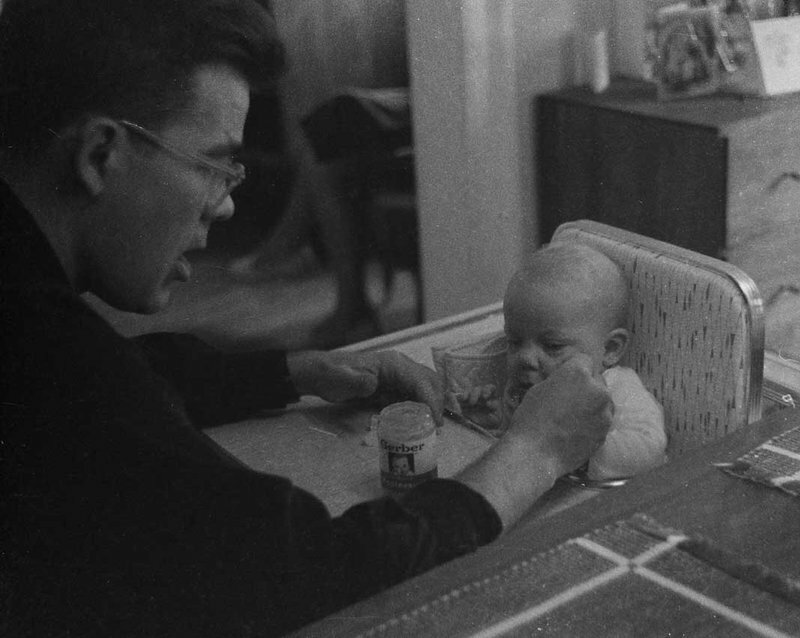 My parents worked together on everything, both in the lab and at home. They divided household chores between us, they took care of the kids together, and they would always sit down after work and make dinner together, as a team effort. After dinner, they did the dishes together. 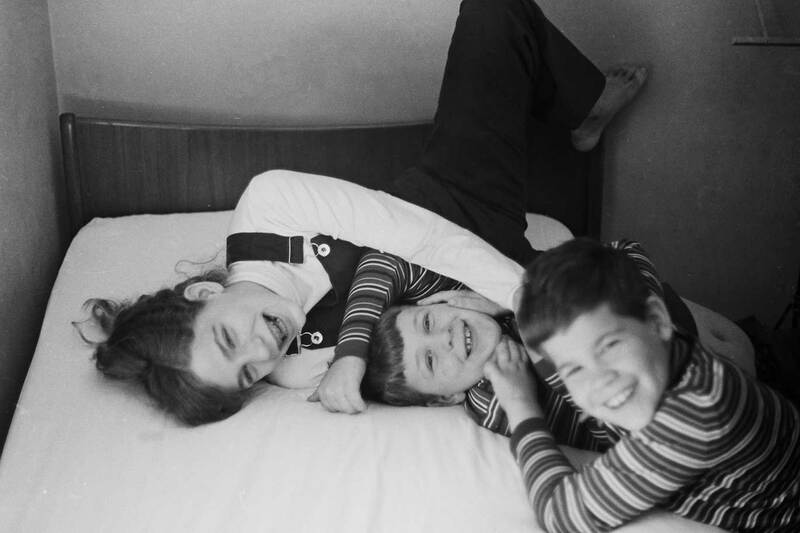 Apparently, this was not the way most parents raised children in the 60’s and 70’s — but I always thought it was normal. At the office, they used each of their skill sets to compliment the other. Gene let Millie lecture, while he did the figures and the computer work. He was a theorist; Millie was an experimentalist. Millie would write, and Gene would edit. To be a student of one was to be a student of both. They were always a team, throughout their lives. Gene has always felt so lucky to have Millie. I could hear that in his voice, ever time he spoke about her. I could see it in his eyes, every time he looked at her. And I can see it in their photos together. Millie and Gene shared their birthday celebrations, they shared their research, their labs, the authorship of their papers, their students… basically, they shared everything. They were a team. Imagine how improbable it was for Millie to meet someone so smart and supportive and helpful as Gene! Millie always said she had an improbable life — and yet, she had a lucky one, too, because Gene was in it. 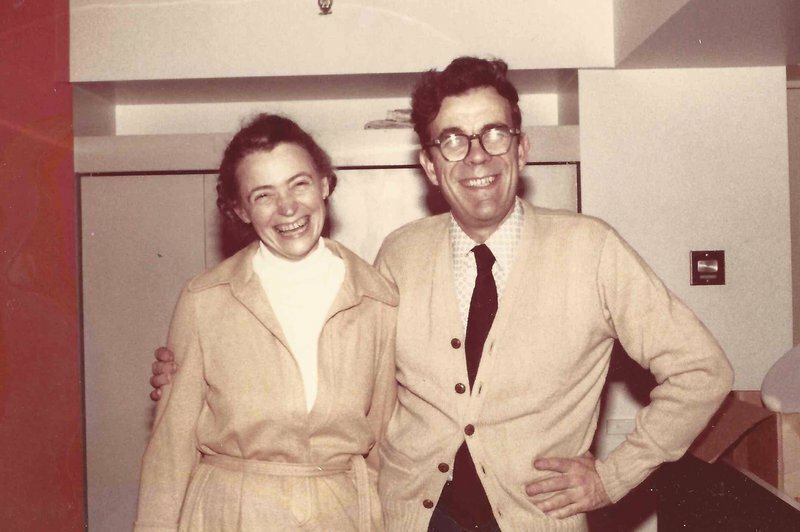 Gene and Millie, together, defied improbability and created a truly beautiful research family and a global legacy. After my mother passed away, I found I had academic brothers and sisters that I didn’t even know about. My mother touched so many people, and their stories are so touching and heartwarming. Professor Luna Lu was a junior professor at UNCC in 2013, when this photo was taken. Millie had come to the university to honor Professor Ray Tsu, who was retiring — but instead of just showing up for the event and then heading back home, Millie used this as an opportunity to mentor and speak with a junior professor. For 6 to 8 hours, she spoke to Prof. Lu, toured her lab, and offered her advice and guidance. A year later, Prof. Lu won the prestigious NSF CAREER award, graduated her first PhD student (also a woman! ), and welcomed a beautiful daughter into the world. When I wrote to her, this year, she said she now has her own research team with 7 PhD students — 4 of whom are female. She also said she was thankful for the encouragement and inspiration that Millie gave her, during that trip. 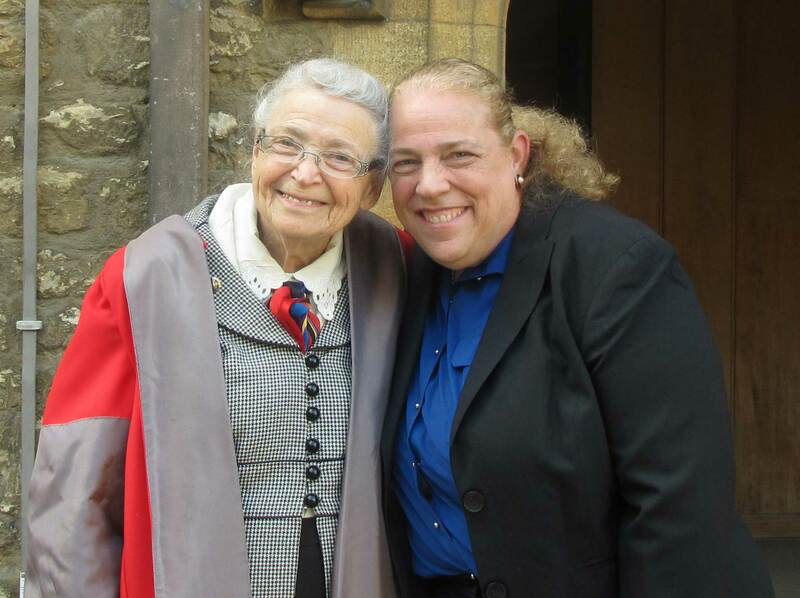 Prof. Lu’s story meant so much to me — and not just because I now have another “sister” to add to my extended family. Prof. Lu took that day of encouragement and inspiration, and she used that to build her own family — both inside and outside the lab. 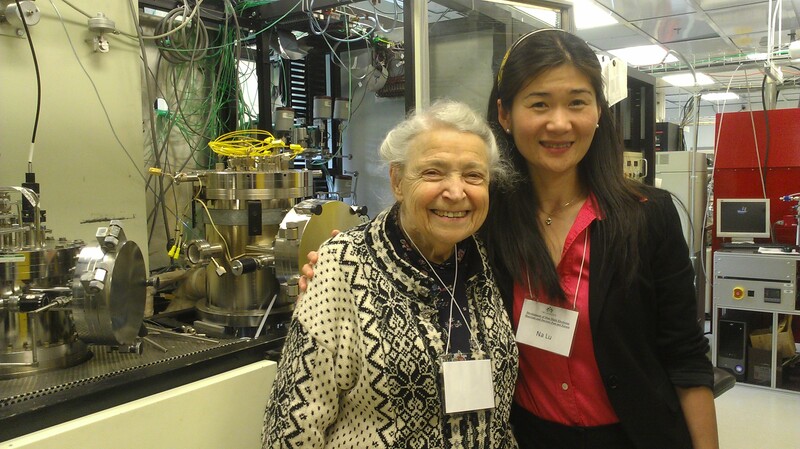 She is continuing to encourage women in science, and is continuing to do what my mother felt so passionate about. I tell this story to spread a message: every moment counts, and every conversation is an opportunity to help and encourage someone. Take those opportunities. Make the most of those conversations. Share that joy. Because while Prof. Lu and people like her are out there, I know my mother’s work will continue on, into the future. I know that my extended family will continue to grow, and so will the values my mother believed in and the lessons my mother taught. So I extend a thank you to all my extended family — those I grew up with, those I met as an adult, and those I don’t even know about. Thank you so very much. You are keeping my mother’s spirit alive, and as her daughter, that is more meaningful than you can ever know. I’d like to end by thanking everyone who made the Millie Memorial possible, both online and offline. The MRS and MIT memorials were two incredible days, and made me really feel Millie’s presence with us. Afterwards, when we were getting this publication together, so many people were very kind and considerate and supportive of us and our efforts. Some even went above and beyond and submitted additional material to us, which was amazing. And when someone mentioned that they had no photos of themselves and Millie, other students lept in, to help give them pictures. I would like to thank the people at PubPub and MIT publishing, especially Jermey and Catherine, who were very helpful. And, of course, I’d like to thank my daughter, Shoshi. I know that most people will never realize how much work she put into this publication, but she did a huge amount. There were days when I was looking for houses for my father and Shoshi would be with me, half-paying attention, as she simultaneously researched carbon nanotube synthesis techniques so she could properly edit the carbon nanotube talks. Even if she had to learn a new field, she was determined to treat everyone’s contribution as special and equally important. I’d like to thank her for that. 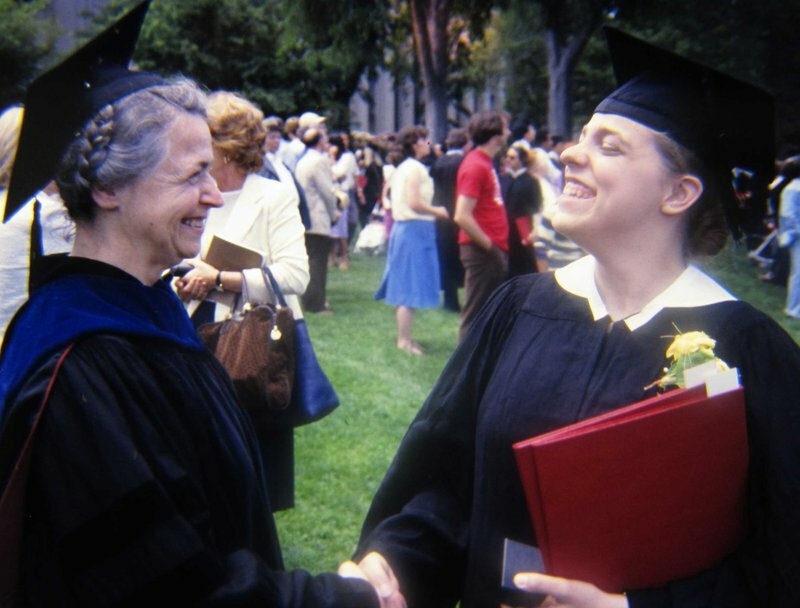 I'd also like to thank MIT for hosting the Millie Memorial day — and, since I’m thanking MIT already, I’d also like them for being such a wonderful and supportive place for Millie for her entire professional life. I’d like to thank MRS for setting aside a full day to honor Millie. And, of course, I'd like to thank all of the speakers and all of Millie’s closest and dearest friends and students. I’d also like to thank the sponsors of the event (which my daughter, Leora, has mentioned), and I'd like to give a big, big thank you to Read and Laura and Debb, who really put in an amazing amount of work. And, finally, I’d like to thank all the people who’ve been helping out my father after Millie passed away. Gene was Millie's beloved husband for many years, and he was a partner in every aspect of her life. Since Millie passed away, the outpouring of support for Gene has been overwhelming. Students and friends and colleagues come over to the house to be with him, take him golfing, take him to see the eclipse! They deliver food for him, they come over and play the piano for him, they call on the phone or send him cards or pictures — and when he comes to MIT once a week to steal candy from all the offices, they leave out candy for him to steal. To all those who’ve helped Gene and have extended support and comfort to him — thank you so much. You are the highlight of his week. At this point, without Millie, you are his lifeline. And I thank all of you for that. Thank you for reading this story of mine.